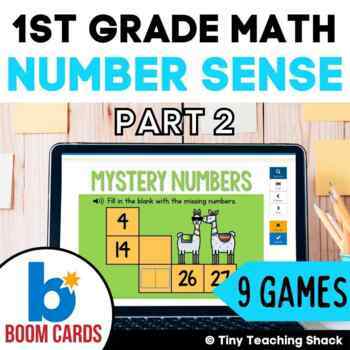 1st Grade Math Unit 4: Number Sense Part 2 is the fourth unit of my first grade math boom card series. There are twelve units in all and each unit is packed with nine games that were made to engage young learners. This unit was made with first grade in mind, but you can adapt it to your lessons to review the skills with second graders and to challenge high level kindergarteners. You can purchase these games individually at my Boom Learning store here. · Missing Numbers: Student will figure out the missing numbers from 0-100. 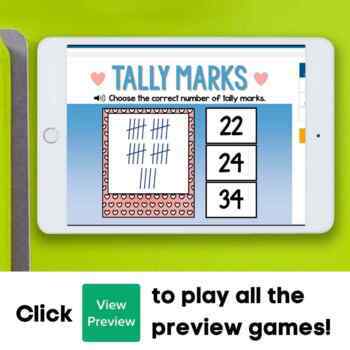 · Skip Counting by 5's and 10's: Students will practice skip counting by 5's and 10's. · Mystery Numbers: Students will complete the missing number puzzles by adding and subtracting 10 and 1. 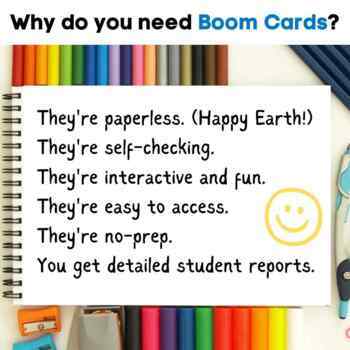 You are buying Boom Cards: cloud-based digital resources. Boom Cards play on modern browsers (released in the last three years). Free player apps are also available. Not sure if your browser is modern enough? 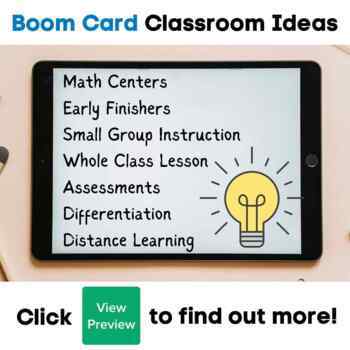 Try FREE Boom Card deck first.